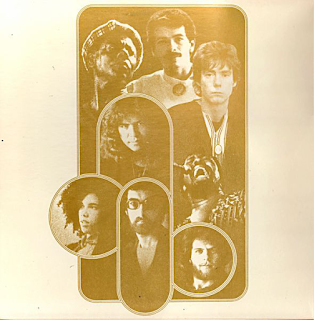 After the ambient, laid-back grooves of "Caravanserai" and the John Coltrane jazz-influenced Carlos Santana/John McLaughlin collaboration of "Love, Devotion, Surrender", this was an experimental, futuristic album that perplexed Santana's Latin rock fans even more than the previous two. It was pretty much a jazz album with rock influences rather than the other way round. It is largely divided into to two distinct parts - the old vinyl "sides". Overall, the first one is lighter and more lively, with more vocals, the second more intense and instrumental. The album begins with four minutes of ambient percussive noise in "Going Home", which, if I have to be honest, while it sets the mood, doesn't really get anywhere and is a minute or so too long. It is arranged by John Coltrane's widow, Alice Coltrane, however. I still find it superfluous though. 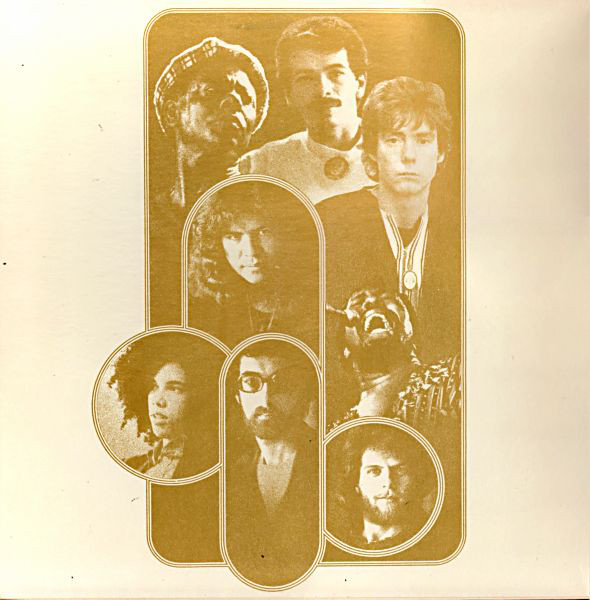 "Love, Devotion & Surrender" takes its name from the Carlos Santana/John McLaughlin album from the same year. It is an upbeat, rhythmic rock-ish number with a laid-back soully jazz vocal from Santana and an attractive female vocal from Wendy Haas. As you would possibly expect, "Samba De Sausalito" is a Latin-influenced instrumental groove, full of enticing percussion and funky keyboards. "When I Look Into Your Eyes" is a delicious soft rock groove with a lovely soul vocal from new band member Leon Thomas. Wendy Haas joins in as well, most fetchingly. "Yours Is The Light" has a "Girl From Ipanema" salsa-style vocal and indeed, rhythm (or is it bossa nova?). Definitely Afro-Brazilian. Santana's guitar arrives for the first really notable time to keep his devotees happy, no doubt. His soloing is, of course, impressive. "Mother Africa" is an instrumental featuring African instruments such as the appealing marimba at the beginning and the shekere, a percussion instrument made from a gourd. Half way through, some futuristic jazz vibes send it all a bit spacey, man, and some jazzy saxophone joins Santana's guitar to render it a most intriguing and ground-breaking track. "Light Of Life" has another relaxing jazzy feel and suitable vocal from Thomas. It is augmented by a beautiful bass and occasional guitar from Santana. As is often the case, instrumentals now see the album out, beginning with the gorgeous eleven minutes of "Flame-Sky". Santana's guitar has free rein here. John McLaughlin returns on this track too to joust with Santana. It is all very "free-form" and has some excellent rock-ish passages. 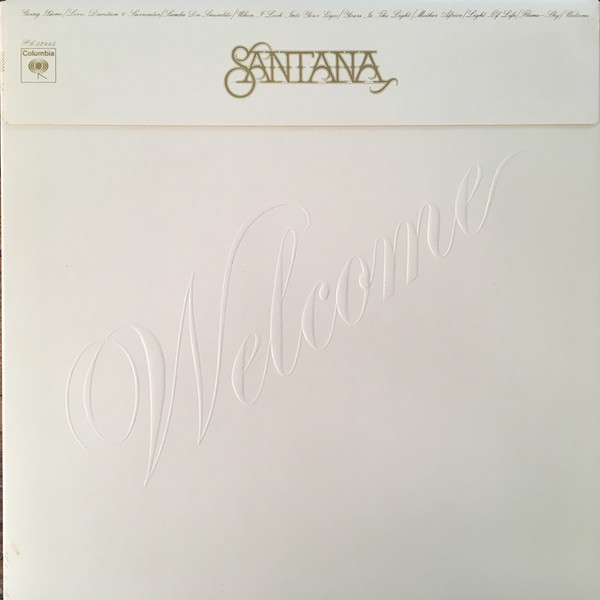 The title track has some slow-pace Santana guitar but it is still dominated by experimental percussion sounds with differentiate it from the more instantly appealing material on earlier albums. It is a very ambient number that drifts slowly to its conclusion peacefully without ever getting above walking pace. The bonus track on the most recent CD release, "Mantra" is an intoxicating shuffling slice of futuristic jazzy rock groove. While the old "side one" is definitely invigorating, I find the old "side two" an acquired taste. 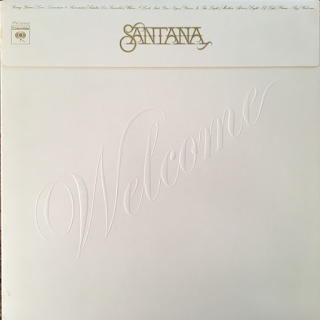 I understand why it is considered musically adventurous and it certainly is that, but there are other passages on Santana albums that I prefer more. The "Borboletta" album, for example. Some see this as one of Santana's finest creations. I know where they are coming from, but my choice of listening from this period is "Borboletta" and "Caravanserai".